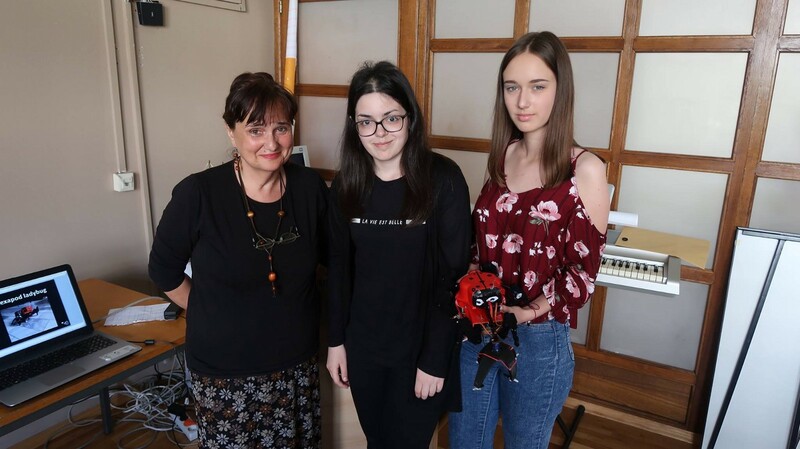 The three of us — two students, and a Biology teacher headed our way from Zrenjanin Grammar School to Petnica. In the beginning, we knew very little about STEM education and new technologies and had no prior practical experience in robotics. In this quite large group of people, every little thing drew our attention. However, the real challenge was our first encounter with the charming hexapods. Folding the robot turned out to be extremely enjoyable — although we have never dealt with using a screwdriver so much! STEM guys managed to supervise every team, and the accomplishments achieved by the teams were spontaneously celebrated by joint robot dance. We brought our new favorites to our schools with the enormous smiles on our faces. We showed the robot to our friends, both older and younger ones, presented the whole journey on the school’s website, as well as to the local media. And then, the assignments arrived! Just to be clear — this was still a totally new and unknown adventure for us. The token 3D modeling was done fast, with the help of a friend (we barely managed to find the printer), the clutch was devised and designed with the help of a couple of boys from a neighbor primary school, and the mobile app was expanded by following the learning platform. As everyone wanted to participate, we decided to disguise our spider-like hexapod into a ladybug. However, a common worry was a crucial question — Will it somehow work when it’s done? We simply didn’t have the time left for attaching all the parts and practicing the strategy to move around the polygon. Before we knew, our trip to Osijek began! 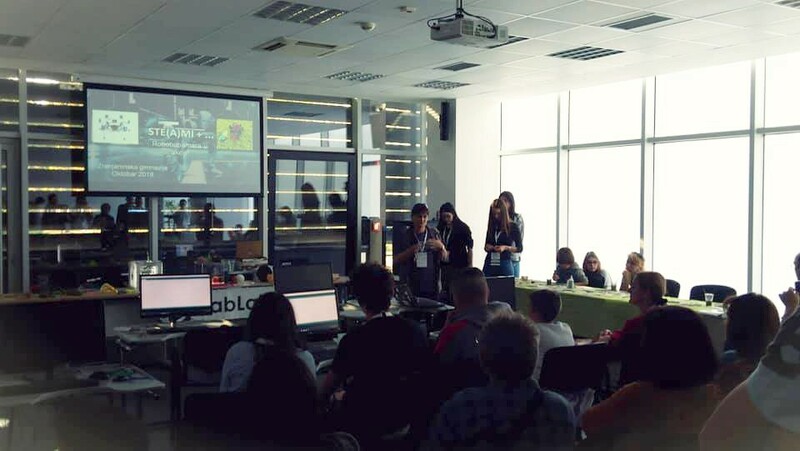 Except, the already familiar and dear participants, our Osijek adventure was accompanied by the robotics expert Chris, as well as the local partners, associates, sponsors, journalists. We worked hard, casually hanged out, exchanged ideas, accumulated impressions, expanded our experience, and boosted our confidence. STEMI guys were, besides coming up with the tasks for quick presentations in English and pretending to be a very serious jury, successfully acting as crisis generators (although we were all aware of their positive fascination with the overall atmosphere)! And the last activity from the camp agenda — the grand finale, the robot race! Along with numerous technically superior and experienced teams, our primary goal was completely achieved: the ladybug has moved through the path with dignity and no rush, and managed to unfold the robust clutch with two engines; her antennas were briskly swinging, and, followed by a tremendous applause, she was running through the end of the race! Valuable awards ended up in the right hands, and the winners were all of us! Upon our return — new assignments arrived. 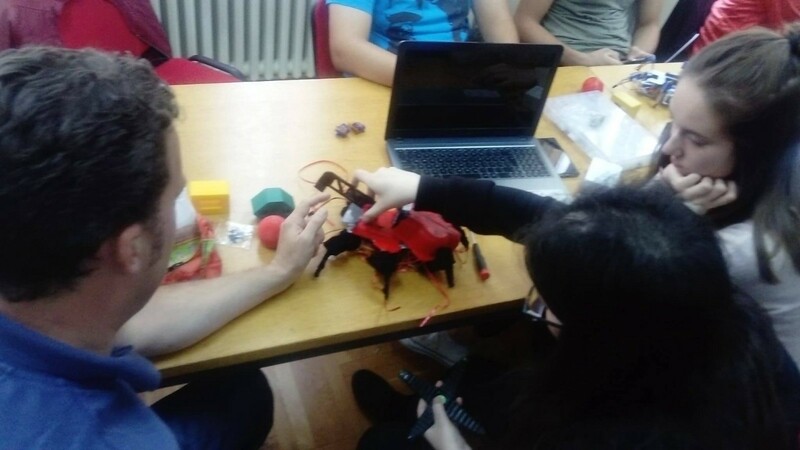 Together with our dear hexapod, we performed at a two-day seminar in the field of digital fabrication and new technologies at Rectory of the University of Novi Sad. 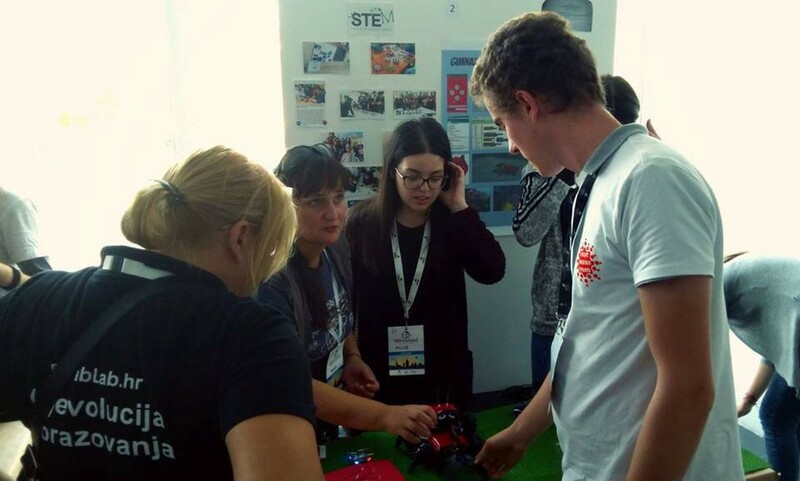 Thanks to local cooperation on assignments for the camp in Osijek, in the autumn this year, a STEM section started working in the neighbor primary school. Two high school graduates from Zrenjanin, participants in both Petnica and Osijek camps, learned a lot in a short time, and more importantly, in a fun way — just the way it should always be! There’s no going back!